It was great, everyone was friendly. Love this place. I've been coming here since my child been 5-6 yrs old nowshe's 12 and still a great place to bring her. It was great, everyone was friendly. Love this place. I've been coming here since my child been 5-6 yrs old now she's 12 and still a great place to bring her. 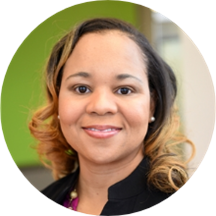 Dr. Ericka Edmonds was born and raised in Augusta, GA. She completed her undergraduate studies at Mercer University in Macon, GA, where she received her Bachelors of Science Degree in Biology. Afterwards, she went on to earn her Doctorate of Dental Surgery (DDS) in 2002, from the prestigious Meharry Medical College School of Dentistry in Nashville, TN. Following dental school, Dr. Edmonds completed a general dental residency (GPR) at the University of Alabama at Birmingham. Upon completion of her GPR, Dr. Edmonds relocated to Atlanta, GA, where she practiced family dentistry for nine years. During her years of practice, she developed an interest in pediatric dentistry, and thus has dedicated her dental career towards treating children, teens, and young adults. It was her love and passion for children that brought her to The Children’s Dental Group in 2013. Dr. Edmonds is committed to a high standard of practice by staying abreast of current techniques in the field of dentistry through continuing education courses throughout the world. When Dr. Edmonds is not at The Children’s Dental Group, she enjoys spending time with her loving husband and two wonderful children, and expressing herself creatively through decorating and baking. She has served her community through various outreach programs, such as the Ben Massell Dental Clinic and Habitat for Humanity, and is a member of Elizabeth Baptist Church and Delta Sigma Theta Sorority, Inc. Excellent! Clean & bright beautiful office. Very professional & friendly staff. Very patient with my daughter on her visit.